FenvaStar EcoCap is a microencapsulated product containing Esfenvalerate (3.5%). Featuring the EcoCap technology FenvaStar EcoCap is made using a renewable vegetable oil instead of petroleum resulting in almost no odor and no VOCs. This enviromentally responsible pest control product will still quickly knockdown pests including ants, bedbugs, roaches, mosquitoes, stinkbugs, fleas, stinging insects, flies, stored product insects, and a variety of other plant and structural pests (see label for full details). FenvaStar EcoCap is labeled for use both indoors and outdoors, in food and non-food areas, animal premises, turf, and structural uses (see label for full details). FenvaStar EcoCap demonstrates exceptional residual and knockdown activity even when exposed to sunshine and rain. 1 - 2 oz. per gallon will treat 1,000 sq. 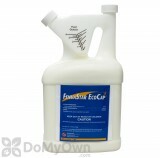 ft.
FenvaStar EcoCap is a liquid insecticide concentrate with the active ingredient Esfenvalerate. Esfenvalerate is a synthetic pyrethroid, a man-made insecticide created to mimic the chemical properties of naturally occurring pyrethrins. FenvaStar EcoCap also has the advantage of microencapsulation, meaning the product is a concentrated suspension with millions of tiny capsules containing the active ingredient. When insects come into contact with the spray or residual left from applying FenvaStar EcoCap, they pick up the tiny capsules on the hairs on their legs and bodies, and the esfenvalerate attacks the central nervous system of the insects, causing paralysis and eventual death. FenvaStar EcoCap is an excellent choice for general, broad-spectrum insect control as a perimeter barrier outdoors and crack and crevice or spot treatment indoors. FenvaStar EcoCap has low odor and no VOCs, making it ideal for more sensitive accounts and situations where multiple treatments may need to be made, such as for bedbugs. Microencapsulation makes FenvaStar EcoCap a great choice to treat flying pests such as mosquitoes or carpenter bees, or for use in areas exposed to direct sunlight. 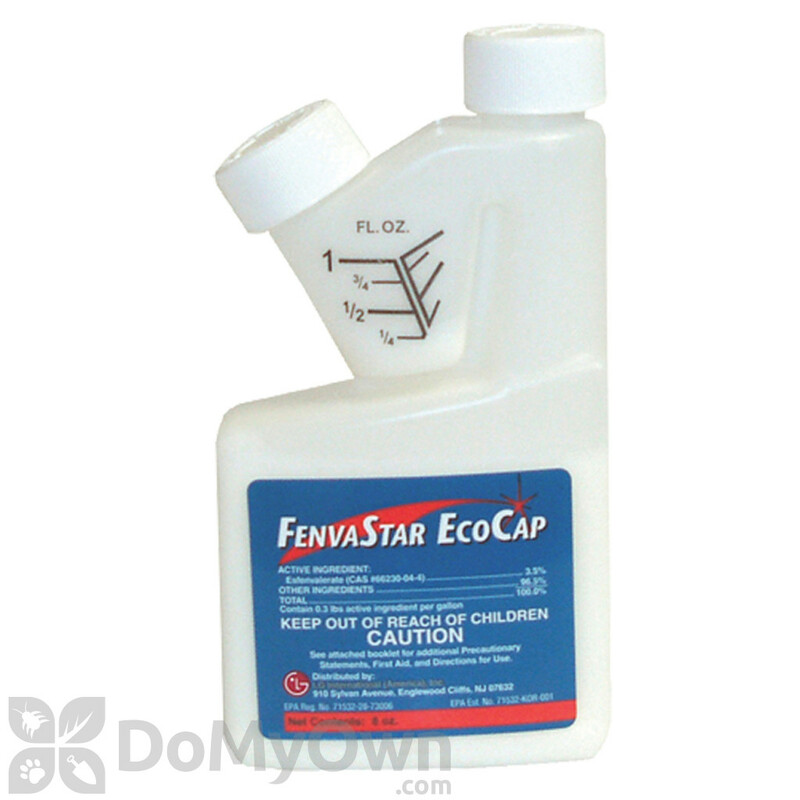 FenvaStar EcoCap is also labeled for use for many common livestock pests and plant pests. With its broad list of target pests and usage sites, FenvaStar EcoCap eliminates the need for multiple products for a variety of jobs. Shake well before using. When mixing, add approximately half the required water to spray tank and then add appropriate amount of concentrate. Agitate and slowly add the remaining water. Agitate spray thoroughly before using and also occasionally during use to ensure dispersion. Use 1-2 ounces of concentrate per gallon of water and apply with a hand pump sprayer. Apply 2-second bursts of spray per square foot of area being treated. Avoid excessive application. Dampen surfaces but not to the point of saturation or run-off. Repeat applications as needed, but do not exceed more than one application every seven days (most applications; do not exceed more than one application every 14 days in food handling establishments). * Always read the product label completely before use. An 8 ounce bottle yields 4-8 gallons of finished solution. One gallon (128 oz.) bottle yields 64-128 gallons of finished solution. 1 fl. oz. (30mL)/gal. of water – 0.025% - general use, maintenance, prevention. 2 fl. oz. (60mL)/gal. of water – 0.05% - heavy infestations, initial clean out; stinging insects. 0.2-2.0 fl. oz./gal. of water or in sufficient water to cover 1,000 sq. ft. – broadcast or foliar spray of ornamental trees, landscapes, lawns, and turf. 1 gallon of finished solution typically covers 1,000 square feet. Higher volume applications may be used for outdoor treatments such as broadcast lawn treatments or foliar applications in mosquito breeding sites. See product label for complete instructions for outdoor applications. For control of insect, indoors and outdoors, in food and non-food areas such as, but not limited to: homes, schools, warehouses, office buildings, apartment buildings, theaters, hospitals, hotels, industrial buildings, motels, kennels; livestock housing such as barns, cow and calf pens and hutches, dairy barns and milk rooms, hog barns, horse barns, sheep barns, poultry houses, rabbit hutches; food processing plants; food service establishments including, but not limited to restaurants, meat processing plants, supermarkets and grocery stores, bakeries, food manufacturing and processing establishments, and food warehousing establishments; transportation equipment, truck trailers, railroad cars, warehouses. Also for use on backyards, lawns, trees, ornamental landscaping, recreational areas, parks and athletic fields. Mix and spray according to Application Instructions above. For crawling pests indoors: Apply as a course, wet spray to surfaces where pests are normally found. Treat floors, baseboards, around doors and windows, in attics, crawl spaces, eaves, corners, closets, walls, utility pipes, storage areas, cracks and crevices. Treat underneath sinks, dishwashers, refrigerators, stoves, the underside of shelves, drawers, cabinets, areas behind pipes, and in all places where these insects shelter. Contact as many insects as possible with direct spray. Repeat applications as needed, but do not exceed more than one application every 7 days. To control bedbugs: Thoroughly clean and sanitize mattresses and box springs. Treat mattress and box springs with an approved pesticide. Apply FenvaStar EcoCap as a spot treatment to potential harborage sites and migration paths, and crack and crevices, around baseboards, floorboards, headboards, and walls. Mix and spray according to Application Instructions above. Treating exterior walls, foundations, and structures: To control infestations of listed pests, treat exterior surfaces of buildings, walls, window frames, around garbage cans, eaves, cracks and crevices, porches, decks, gazebos, patios, carports, garages, fence lines, and other areas where pests are active or may be hiding. To help prevent insect infestation of buildings, treat a 2-6 food band of soil or other substrate adjacent to buildings. Treat building foundation to a height of 2-3 feet. Treat exterior walls, eaves, cracks and crevices, and other areas where pests are active and may find entrance into the building. Alternate mixing directions are to use 4-8 fl. oz. of concentrate per 50 gallons of water. Use lower rate range for turf pests that are commonly exposed and will be contacted by spray solution at the time of application. For pests that will not be contacted by spray solution at the time of application, use the upper rate range. Use 2 fl. oz. per 1,000 sq. ft. when treating mole crickets and chinch bugs. For yellow jacket control, FenvaStar EcoCap can be mixed with baits in traps. Follow trap instructions for preparation of bait. * See product label for complete outdoor application instructions. Microencapsulation ensures long-lasting residual, even in sunshine and rain. Almost no odor, and no VOCs (Volatile Organic Compounds). Broad-spectrum labeling for many common pests and use in a large variety of locations. Labeled for use in food handling establishments. Rated as a LEED Tier 2 Pesticide. Convenient tip-and-pour bottles accommodate easy measuring and mixing. May be tank mixed with an IGR such as NyGuard IGR or other pesticides unless expressly prohibited by the label. Simple dilution rates are easy to remember. Always shake well before mixing. Do not apply directly to pets. Keep pets and children out of treatment area until product has dried. Do not exceed more than one application every 7 days. Do not apply with hand held or truck mounted cold aerosol ULV sprayers and thermal fogging devices. Lawn or turf grass should be mowed 1-2 days before spraying. I purchased this item to get rid of bed bugs, I can not report on long term use, because I just used it yesterday but I can tell you it works and it works fast. It has no odor, I used it with gallon sprayer as recommended and I added Gentrol IGR into the mix, since this was my first time application I used 2 fluid ounce instead of 1 fluid ounce to prevent re infestation of bedbugs. After a mix , fluid is milky color but it dries clear without leaving any stains. By the time I ordered this product I am confident I had already eliminated at least all adult ones using a steam cleaner (almost everyday) for past six weeks, DE, 90% alcohol, Clorox, Bedlam Plus, and combination of Essential Oils in steamer such as Clove oil, Pepermint, Orange oil, Rosemary and Cedar oil. I put 10 drops of each to 32 ounce water, I than add 1 fluid ounce of this mixture to the water that I put in the steamer. Not only vapor alone kills the baby ones readily, the steam comes out dryer with more pressure force than when used water alone. I live in a condominium where the whole complex has bed bug problems, there for I have no choice but keep using products such as this one to prevent re- infestation. The reason I say this about a week ago while I was steam cleaning my carpets I lifted the clear plastic mat that was under the front entrance door, I discovered 5 adult dead bedbugs that got stuck between the carpet and the mat! I than realized they are coming just like everyone else, from the front door. After I sprayed along the base boards and cracks even the kitchen with FenvaStar, I sprayed front of my door and the hall way and front of neighbors door while no one was looking. About 20 minutes later when I walked in to my kitchen I saw 2 adult dead roach on the floor that I didn't even know that I had. The next day (which is today) my neighbors knocked on the door to show me the dead adult bedbugs that they found right along where I sprayed. So I can tell you this product works and I hope it will keep on working. From an experience one more thing I have to add, when you treat the infested area such as your mattress or couch, if you do not treat the carpet underneath at the same time, you are guaranteed to get re infestation, you have to steam it the way you steam your mattress and steam wash your whole carpet as soon as possible. The young bedbugs hide inside the carpet, you can't see them, but you will see them in your dirty water when cleaning your carpets. When washing clothes use Clorox and add cup of distilled vinegar to rinse water to kill all eggs, also add vinegar while steam cleaning carpets. Bed bugs are very psychologically draining, and depressing, I agree with most reviews on this site you have to use combination of products, I doubt if one product alone will get rid of them. This one works and reasonably priced! Five days after the first application, I started wondering how come I can't even see just one bed bug, I know I have eliminated the adult ones but every evening I go around the infested part of the apartment with a magnifier glass and able to find the colorless little ones, before steaming them. (By the way not all colorless ones can be seen with a naked eye, they may appear as little as salt grain, but they move!) I had only used this product only along the base boards cracks and crevices and only very lightly wood part of the under the sofa and box mattress, being careful not saturating the fabric (while I was putting it I was not sure if it was going to stain or not at the time). This morning I turned over my sofa, (which is the most infested part in the apartment) I found over dozen bright red dead bed bugs along the wood casing, I would say they were the size of ranging from 2nd 3rd and 4th in star nymph,( I collected few and looked at them with a magnifier), very strangely, out of all the places, I also found few on the carpet that is front of the Bathroom, I had been seeing them while I was vacuuming but I had dismissed them as red lint from the towel. After finding the ones under the sofa, I again found some in that area and looked again , yes they were dead bed bugs. I did not use vinegar while steam washing that part of the carpet because I had ran out of vinegar, I will definitely go get another gallon and steam wash that part again. There you go, this product once again earned my FULL SEAL OF APPROVAL and I approve this massage! I had the worst infestation of bed bugs and ants. I payed $540 to exterminater for nothing. Until I found this product I never had a good night sleep first time yesterday. so don't waste your $ on nothing else . Can I use FenvaStar to treat the carpet for bed bug nymphs? I'm currently living in an apartment complex and both apartments next to mine to the right and left of me are infested. The tenants are bug bombing and they are now coming through the drain pipes and fenvastar is working great to kill them there. I did a perimeter spray with FenvaStar, but I want to know if I can also treat the carpet? Not saturating it of couse due to the water but a light misting? There really is no need to treat the whole carpet with Fenvastar for bedbugs. If the bedbugs do move through the walls into your apartment they will pass through the product that you applied around the perimeter and be killed. If you feel you must spray the carpets Fenvastar is labeled to be used as a broadcast spray over carpeted areas. Can I make half gallon instead of full gallon of FenvaStar if I think I wont use all of it? Absolutely. You will simply use half of the recommended usage rate for the 1/2 gallon of water. How long to stay away after applying FenvaStar EcoCap? 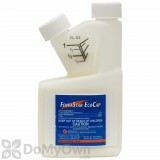 Only the applicator should be in the area during the application of FenvaStar EcoCap. Others including children and pets can return once the surfaces are completley dry. Is the FenvaStar EcoCap safe for mattresses? Can you lightly spray a mattress and then cover with a bedbug cover? 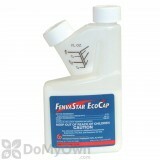 FenvaStar Eco Cap is not labeled to be sprayed on mattresses. Instead you should consider using Bedlam or Bedlam plus as they are both labeled specifically for this type of application. Does this product leave a residual? How long will that last for bedbugs? FenvaStar EcoCap has a 30 day outdoor residual and 90 day indoor residual for most insect treatments. For bedbugs, we recommend treating weekly along with other products in our Bedbug Control Kits, heat, and vacuuming. I have included a couple of links to bedbug treatment articles for additional information.